This article will discuss in detail how to do spiritual and esoteric way that will not lead you to hands of psychiatrist and oncologists. 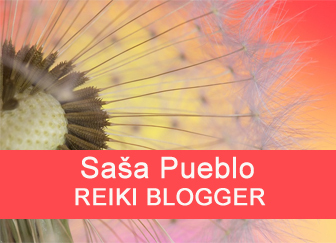 Sasa Pueblo is knowledgeable enough to be able to write such a topic because he has practised spirituality from basics and he has been doing so at least 20 years. He constantly improves, develops and produces new capabilities within his body. First principle is that esotericism is not entertainment or resource in order to get mad or become ill. Esotericism is the way of change from esoteric oddball to well organized personality who has been moved to extreme perfection. From lunatic to genius. Esoterist if not, do not build his extraordinery abilities on pathological states and illness. This would be the path to hell based on even greater damage and thereby more extraordinary ability. Esoterist should not remain uneducated and should improve himself throughout his life, he should study and gradually grow to large-minded personality. We are talking about polyhistorical personality who became acquainted, studied and practiced all natural, social, technical science disciplines. It’s not easy, the principle is clear: successful esoterist is able to bear the incredible pressure of realistic perception of himself and what surrounds him. Please be aware that some scientists end up as fools and destroy their brain by too deep and rational perception of the world around them. So the ability to bear a rational view of the world requires special and consistent techniques and procedures. Esoterist starts on one hand with a lot of books about esotericism without any personal choice and preferences of something that would be suitable for him and what he doesn´t want. Esoterist consumes esoteric foundations without omitting something. If you don´t want and can not afford the amount of esoteric literature then all you need is to start reading on this web page and step by step practising gradually from the oldest contributions which are at the end of each topic. And so you start to go in the footsteps of Sasa Pueblo, he has also started to do so when he was getting to know esotericism. Likewise as he stated at the beginning to become acquainted in esotericism, at the same time he has sorted out esotericism and gives its real and rational contours. Thus he got knowledge from his esoteric start in esoteric world from all sides. At his beginning he didn´t select authors and he took everything. He also deals with alternative healing and gets an overview in this field. If you want to become good in esotericism, you don´t have to choose what you like but what you really need. Principle of success says: what you like and what you know doesn´t move you further but what you don´t want and you don´t like. 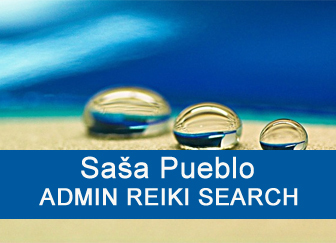 This web site provides you overview in esotericism and also procedures practised by Sasa Pueblo. Here you explore esotericism and also you educate, constantly exercise and build an extraordinary abilities that allow you to perceive the world differently from other people. If you were able to perceive the world only with ordinary senses such as eyes, ears, nose and touch, you wouldn´t go too far in esotericism or you would remain only in theoretical level. Principle is: first train, exercise and build up extraordinary abilities. Sasa Pueblo came to esotericism because he was attracted by it as unknown and extremly difficult area in which, however was a mess and chaos. Sasa Pueblo has natural prerequisites for this direction. When he was 3 years old, he survived from clinical death and many months fought for his life. His clinical expriences were fixed and improved after healing and his neurons grasp quantized soul(energy) – memories and desires – back to all neurons in the body. This phenomen is – stick of quantized soul(energy) back to neurons. Another prerequisite for esoteric way and alternative healing was his grandmother who was herbalist. The destiny of Sasa Pueblo influenced also world of homeless people when his grandmother took care of them. Sasa´s father studied two universities together and at the same time he took care of Sasa and this fact influenced him so that he is able to withstand profound rationality and scientific rules. From mother side he has got fanatic need to have order and versatile education. Continuous illness in childhood led him to extraordinary educated protestant pastor who educated him. 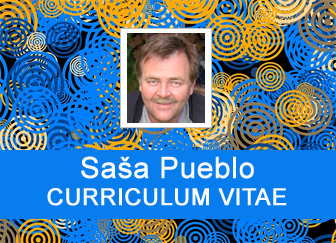 Sasa Pueblo didn´t go to school much, he often struggled with lung illness. On the web pages of Sasa Pueblo is clearly certain that you find here unique overview of everything which is connected with esotericism, religion, spiritualism, healing and other areas. Sasa Pueblo has still recorded his spiritual path and path of others on his web page. Sasa Pueblo permanently meditates and builds in his brain and neurons a lot of extraordinary abilities and also practise psychotronic clinic. So here it is extensive practical activity. Within these activities he tests and verifies what is feasible in esoteric area. Becoming a polyhistorical personality, Sasa Pueblo fulfilled what his mother wished but she failed to fulfill her dream in this area. Sasa Pueblo has been educated in human history, medicine, biology, chemistry, biochemy, quantized physics, quantized biology, modern technology, internet, physics, astronomy, math, statistic, philosophy, linguistics, psychology, psychiatry, finance, geology, mineralogy, genetics, sociology, scientific methods of investigation, futurist, artificial intellingence and he constantly goes deeper in his knowledge in all three areas. Further guarantee of the quality and uniqueness of this web site is that he knows almost all areas of spirituality and spiritual abilities which he constantly practices and improves. He has no equal competitor in the world and throughout in the history of mankind, he is like Picasso in art. 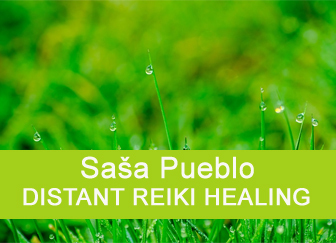 Sasa Pueblo knows and practises reiki, alternative healing, massages, he practises Castaneda, Tai chi, Chi kung, he knows amount of seercraft and astrological techniques, practises pilates stretching, boxing, fitness, he knows sport physiology. He also performs magical and shamanic techniques for chiropractic spine, he knows the cultivation and production of herbs and drugs production, remote diagnostics. He has been practising clinical states of consciousness and he builds everything what will be important after death of spirituals based people. He meditates and practises all spiritual ways starting from Stone Age and natural shamanism going through each spiritual path on the earth. He continues to all mordern areas of spirituality today. He has extraordinary abilities mentally penetrate into the cosmos. We could so continue and write a long list of his extraordinary abilities. Most of his abilities are directed to what is after human death and what people live today is not so important. He often remains: the only investment which you will never lose is an investment of your finance, time and skills into everything what is real after death. Because at time of death human loses everything acquired during the live, human loses the ability to act and think. Death is the best healer and judge at the same time – it takes everything and forever. And this is fatal end of each organic being. Another guarantee of quality is own practical meditation path of Sasa Pueblo. One of the key trends of his effort is to know himself, what is inside his body, to know his organs, cells, proteins, amino acids, chemicals, memories. He is talking that a man who hasn’t broken through into own inside, hasn’t recognized who he has been and which path would be the best for him. Sasa Pueblo acts also in this area as thinker and practitioner together. Sasa Pueblo dedicates many hours, days and years to construction his attention to be pernamently directed to his inside and not to outside world around him. 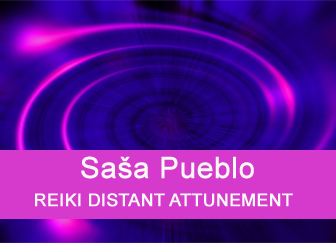 Sasa Pueblo with his esoterists have built up in their neurons direct contact with outside world and not only through the classical senses and this allows perceive themselves and outside world in a unique way. It is something like to look at the world through binocular, microscope or other scientific equipment. And this should inspire you to build up special abilities in the brain which allow you to see the world around you differently as only via your senses or scientific instruments. Without this ability the blindness of real perception of this world is completely fatal and hopeless. Perceive the world differently and with specially trained neurons is breakthrough moment in the esoterist career. Of course the esoterist has to forge to this objective. Perception of the world only through the classical sense is insufficient and limited. Esoterist´s neurons in the brain have to be long period trained and adjusted to deeper penetration to the world of particles and to the cosmos abyss and this is not available to reach by telescope. Otherwise we call this extraordinary abilities. And in this way esoterist can really know what modern science with technology can not. Some levels of particulate world and the universe never got known. This is uniqueness of this esoteric group, to train and use neurons to special abilities. This esoteric grouping is unique in this way. 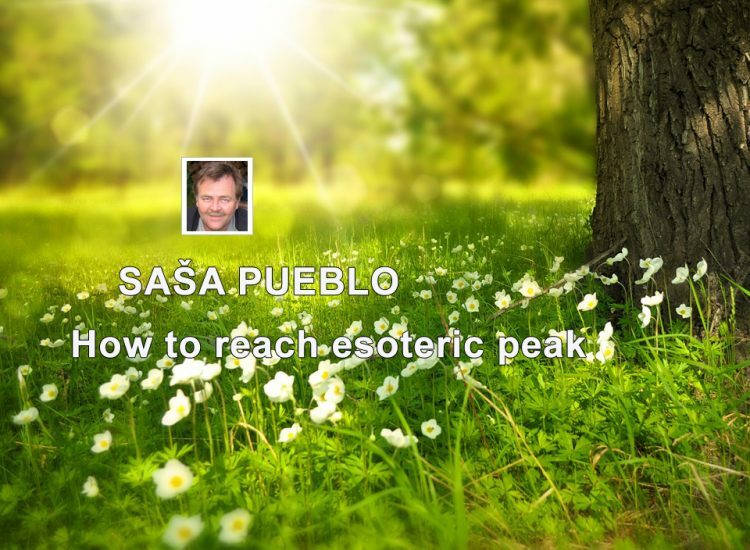 Sasa Pueblo determines in esoteric next direction which is training of neurons for deeper penetration to cosmos abyss, even further as human civilisation and its techniques have reached. Sasa Pueblo has reviewed extrasensory individuals whose psyche has penetrated to cosmic space and base on this research he has found techniques and procedures, which allow real penetration to the cosmos. Caution should be taken: not to penetrate into own memories but into real cosmic space. More then one time mental conection to persons who really penetrated to cosmos has caused the creation of this ability in Sasa´s brain and thereby opened real option to review our solar system by shamanic psyche which is flowing through the magnetic flux in the space. Penetration to cosmos is possible also through dimension of dead world, which is particle space 10 compounded to minus -20 meters. But it must have been trained states of early stage clinical death. Another technique of penetration into space is built on the quantized soul and its slight disconnection from 90% of neurons. This state is similar to the beginning of dying in time of fatal accident. If this state is intensively trained around 5 years. This is called quantized soul with potential to create micro objects and send them through world of death to cosmos. But this technique has to be practiced many years. Sasa Pueblo dealt with the development and verification how to make mental and physical contact with organic life in cosmos. It ´s not going to be only connection to own imagination of objects in the cosmos or hallucinations. Again here was wide research of humans who admit that they contact organic life in cosmos. These persons were extrasensory on distance tested and selected such who have only delusions and didn´t fulfill criteria for such contact. Firstly, the person after such contact starts to have specific kind of thinking. And we started such persons extrasensory observing specificaly. In humans who contacted organical life in cosmos remain pernament mental connection to cosmos and concrete organic subject in cosmos and these organic subject have been linked back to the person. We didn´t take into account persons who were conected to organic life in the past and this contact was finished somehow. We took into account only persons who hold pernament contact to cosmos. If you are reading these rows, do not imagine that on the planet Earth could land any intergalactic ship with little green men. Such imagination is impossible. If you would really mentaly penetrate into the cosmos you would know how far away is some organic civilization and how this is impossible that it overcomes such distance. But this is invalid regarding mental penetration of organic matter through particle dimensions as mission. It is also difficult to distinguish the human contact to organic matter or to objects in world of dead. Sometimes activities are in world of dead more intense then the activities from live world. And it´s important to learn to distinguish this extrasensory. Contact is realized in all directions of the space in distance 10 compounded to 300 km. You could ask why such a distance? People who have a state of clinical death during surgery if they have emptied blood from their body in a room with low temperature, penetrate so far into real space. And also it’s distance where we are still able to understand and distinguish what we found and contacted. As we know trance by copying shamanic objects in the world of dead from Gobekli Tepe in Turkey. Neolithic culture in Gobekli Tepe and other place is about 10 000 years before Christ old. Contact by trance is unlimited, the problem is that what you contact arise in conditions different from ours and this causes that human brain is not able to grasp racionally. It is not clever to produce delusional imaginations about cosmos. The most valuable organic life in cosmos is UFO “Robo”. It is something technological what is able to act in cosmos in particle world 10 compounded to minus -50 meters. It is extraordinary demanding pernamently contact this intelligent structure in cosmos and also mental path to this structure through cosmos is challenging. We don´t dedicate to christian lines in esotericism for the reason that they prefer everything for suffer man and to little for dead world. We don´t apply this in esoterism. Esoterism of Sasa Pueblo is direction oriented to something after death and not to actual state of humans on planet Earth. We respect christian values and direction everything for suffered human. It´s a wise direction and led us to esoteric peak. We personally practise reconciliation of shamanism and christianity. The most valuable for esotericism is christian theology. Its ideas are great and we practise them directly to the world of dead where soul full of memories and desires goes and creates space for itself and realization of theological ideas. Sasa Pueblo honors and glorifies everything linked to christion theology, because it gives sense to esoteric effort which leads to the world of dead and not to ordinary life. Sasa Pueblo endlessly speaks for yourself: everything forever and for good. Constantly and permanently part of endlessly changing universe. Unfortunately shamanism is practice to world of death organic memories, but christian theology gives to this shamanic effort the ideas of perfection and immortality. And so it is worth to forget for the disagreement shamans and christians. Perfection takes its victims. And so we bring them.